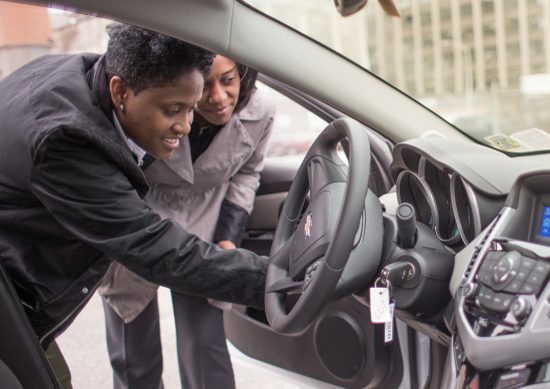 The paratransit industry is evolving, and transit agencies need a partner that can leverage new models of transportation service delivery—while still meeting Federal Transit Administration (FTA) requirements and focusing on safety and the passenger experience. As one of the largest non-emergency medical transportation (NEMT) brokerage operators in the country, MTM is that partner. Our flexible and efficient model leverages our 20 years of brokerage experience and deploys existing networks of transportation providers to deliver Americans with Disabilities Act (ADA)-compliant paratransit services. By establishing a brokered service delivery model, transit agencies increase cost effectiveness, establish overall service efficiency and quality, and provide a flexible approach for meeting each passenger’s individual needs. Typical paratransit programs operated by transportation agencies involve several types of transportation requirements, from high volume routes served best by a dedicated fleet of vehicles, to the lower volume, ‘hard-to-serve’ paratransit trips served best by non-dedicated vehicles. In establishing or refining a service delivery design, paratransit managers and practitioners should be looking at a mix of dedicated and nondedicated service, and how that mix can be optimized to minimize the overall cost per trip. For transit agencies seeking a contractor for direct delivery of paratransit and fixed route services, MTM’s affiliate Ride Right is one of most trusted partners in the transit industry. 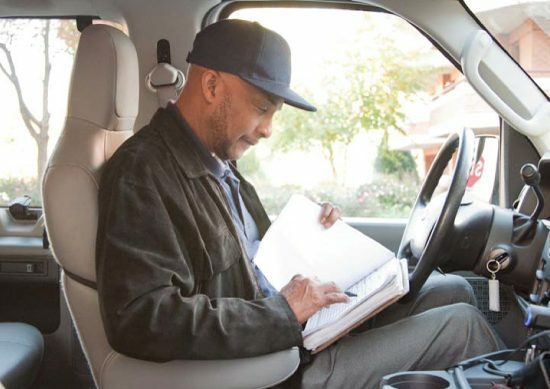 As communities across the nation are challenged with increasing access while containing costs, Ride Right strives to achieve these goals while focusing on what matters most: the passenger. From extensive fixed route systems in urban areas to flexible paratransit systems in smaller communities, Ride Right offers clients turnkey operations for any public transit structure that maintain a balance of innovation, best practices, and passenger satisfaction. With proven and reliable solutions for nearly every community transportation need, Ride Right provides high quality transit services that reflect positively on your organization. Instead of viewing paratransit brokerage simply as taxi overflow operations, our networks encompass multiple provider types with varying service levels. This model drives competition in the areas of cost and quality, allowing clients to avoid the capital expense of investing in vehicles that may not be fully utilized, and better managing peak service times by keeping dedicated fleets at a lower level. 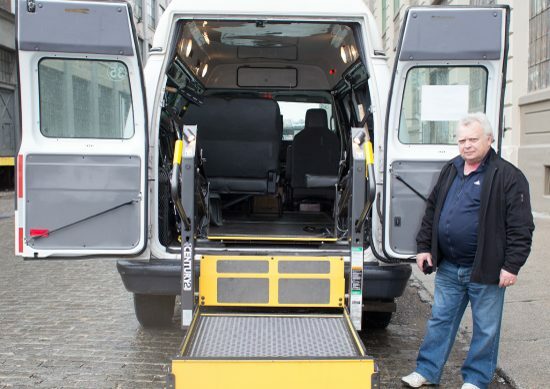 While the fleet can include smaller vehicles like minivans and sedans with lower operating costs and lower emissions, the network also includes wheelchair-accessible vehicles. MTM’s experience including wheelchair-accessible vehicles in our networks ensures we have the ability to go above and beyond ambulatory service. MTM doesn’t see industry disrupters like Uber and Lyft as a threat to traditional transit operations. Instead, we are actively partnering with these TNCs. Uber and Lyft have disrupted the market by raising passengers’ technology and customer service expectations. 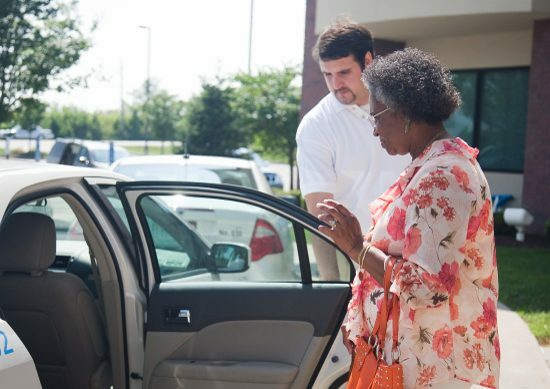 By partnering with these companies, MTM and our transit clients can utilize their cost effective, technologically advanced services for passengers who are able to successfully migrate from traditional paratransit to sedan services independently. TNCs are managed properly as service providers, on a controlled quantity basis, particularly for first and last mile needs. Passengers can book services directly with the service provider of their choice through a prior authorization process, or MTM can send trips to Uber and Lyft through API or web portals. MTM is highly accomplished at vetting large networks of transportation providers and holding them accountable for their performance and customer service. Our stringent credentialing requirements directly correlate to safety and performance, and include background checks, insurance verification, FTA-compliant drug and alcohol screenings and random testing, vehicle inspections, and regular maintenance. As a further effort to reduce risk, we successfully integrate credentialing into our technology to ensure trips are only dispatched to drivers and vehicles that meet our standards. As many passengers desire on-demand smartphone and online functionality, MTM has partnered with technology leaders to deliver an application for requesting transportation services that maintains compliance with ADA, FTA, and Centers for Medicare and Medicaid Services (CMS) guidelines. While most mobile application-based transportation models prohibit advanced reservations, our proprietary technology and call center approach allows us to fill this gap. As a back-up to online functionality and an added convenience for passengers who prefer phone communication, our state-of-the art call center operations boast highly trained customer service representatives to serve these riders. 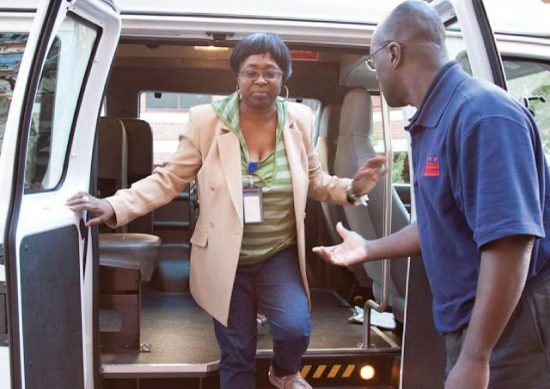 MTM truly understands the populations served through ADA paratransit services, and appropriately trains providers and drivers on how to serve individuals with disabilities and passengers who may require special accommodations. This includes thorough wheelchair securement training. We have a high degree of focus on quality and satisfaction, and hold our transportation providers and drivers compliant by monitoring on-time performance, no-shows, complaints, incidents, and accidents. Drivers and providers with higher quality are rewarded with more volume, which further drives satisfaction and quality. Because MTM is one of the largest NEMT brokers in the country, we can also help our transit agency partners leverage healthcare access trips. We work hand-in-hand with transit agencies to evaluate transportation trends across both industries, designing solutions for high trip-generating locations like hospitals, dialysis centers, day treatment facilities, and work programs. By sharing data, brokers can help agencies design innovative programs and review fixed routes to maximize ridership, help passengers learn how to use fixed route through travel training, and design feeder routes that meet riders’ individual needs. With our industry experience, MTM has the expertise, systems, staff, and procedures to ensure compliance with all administrative deliverables. Our transit agency clients benefit from accurate invoices, thorough reporting, and accident, incident, no-show, and late cancellation information. We can also provide in-depth analysis of reports and raw data to determine how the program can be modified to enhance performance, and offer our expertise at meeting National Transit Database (NTD) reporting requirements.